"Well done to him. Oliech has always had the talent and hunger. People always say things happen for a reason, it was God's time that he made it to the team,"
He went on to add; "I always tell my players a National team call-up is just once. Even Collins (Injera) is never guaranteed he will go for the next trip. I just pray that Oliech continues to grow. He has the ability to play for Kenya for a long time." 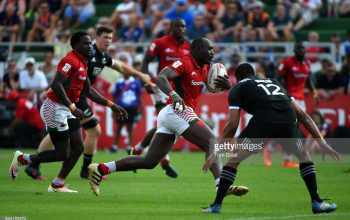 Grown he has, and slightly over two years later, Oliech's performance seems to carbine off what was said by Gangla - now the Honorary secretary at Kenya Rugby Union, as he fully integrated to the team and is yet to miss a World Sevens Series event with the Kenya 7s since his debut at Vegas against Portugal. 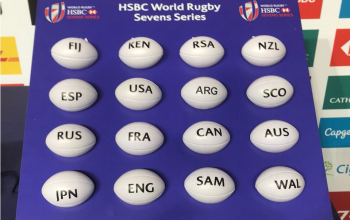 Better still, the St. Mary's alumnus - previously capped by Kenya 15s - tops a number of parameters for Kenya seven legs into the 10-part 2017/18 HSBC World Sevens Series and is one of the best performers in the 7s fold. 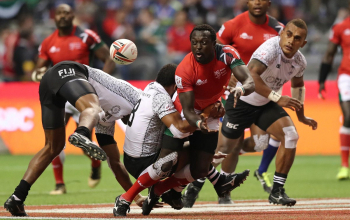 According to statistics provided by World Rugby, Oliech arguably tips the scales for Kenya as he has made the most tackles this season and is the standout player with most conversions, points and restarts. Oliech - an Olympian in 2016 and part of the Commonwealth squad in 2018 - has made 69 tackles and is ahead of skipper Oscar Ouma's 57, Nelson Oyoo's 55 and the 54 achieved by another three players Dan Sikuta, Willy Ambaka and Jeff Oluoch. Overall, Scott Riddell of Scotland and Eroni Sau of Fiji top this department with 104 tackles. With 40 conversions, Oliech is ahead Eden Agero's 23 and Brian Tanga's 5. Australia's James Stannard is atop the conversions leader-board with 72 kicks, three ahead of Canada's Nathan Hirayama. Adding ten tries to his conversions, Oliech's tally for the season now stands at 130 points. He is ahead of Ambaka's century accrued from 20 tries into the season. Agero is third best in points with 76 after adding six tries to his conversions. 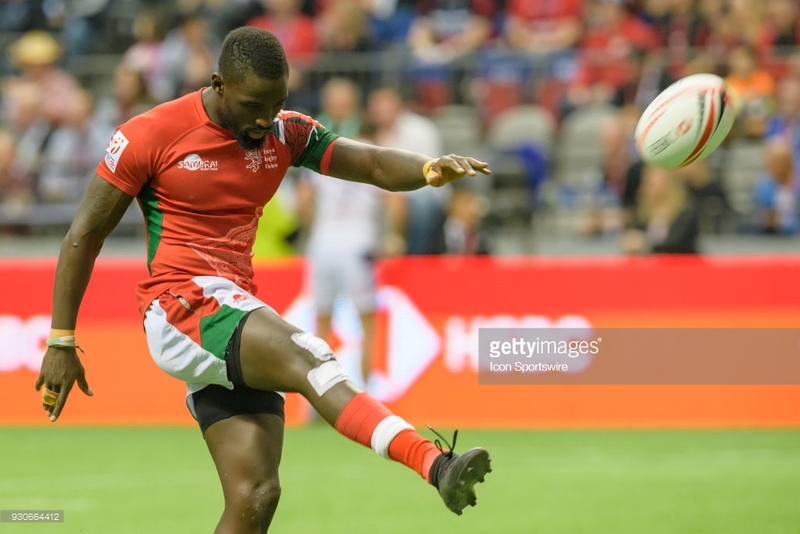 Jeff Oluoch and Oscar Ouma, with 13 and 12 tries, the next best number of touchdowns after Ambaka, close the top five point scorers for Kenya with 65 and 60. 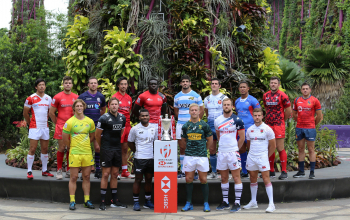 Overall Fiji's Amenoni Nasilasila and Canada's Nathan Hirayama top the points list with 241 while USA's flyer Perry Baker is best with 35 tries. In terms of clean breaks, Ambaka has made 34 of them and is ahead of Oluoch's 23 and Ouma's 22. The overall master in this area is Baker with 49 and Fiji's Sau with 44. In other captured statistics, Oluoch has made the most runs for Kenya - 112, and is ahead of Ambaka's 98. Skipper Ouma is next with 88. Canadians Justin Douglas and Harry Jones, are best in runs with 137 and 136, respectively. Oluoch and Ambaka are the second most used players this season having picked up 37 games, one less than the most fielded player Daniel Sikuta. Oyoo (36), Oliech (35), Agero and Ouma (32 each) come in next.